Reading scripture changes us. Encounters with God and God’s word transform us. Every time. Whether we’re looking for answers or think we’re doing just fine on our own, God’s word still speaks. This fundamental and profound truth lies at the heart of the Good Book Club, Forward Movement’s invitation to the church to read the Book of Luke and the Acts of the Apostles together throughout the seasons of Lent and Easter. We believe engaging in scripture brings us into deeper relationship with our Savior—and that reading God’s word together will bring us into closer relationship with one another. Throughout Lent and Easter, Forward Day by Day will move through Luke and Acts instead of our regular practice of following the lectionary. (Don’t worry: We’ll still offer the lectionary readings on our website.) I am honored to be one of the four featured writers during this time period, alongside talented, faithful colleagues, the Rev. Lindsay Hardin Freeman (March), the Rev. Marcus Halley (April), and Miguel Escobar (May). 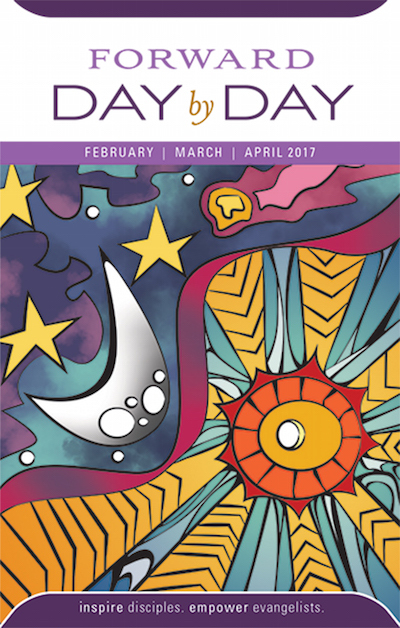 As always, our Forward Day by Day meditations will be available in Spanish, as a podcast, online, on an app, in Braille, and large print. In addition, we will offer free downloadable Bible studies for individuals and congregations to explore some of the stories in more depth. We continue the Bible Challenge series with A Journey with Luke and the newly released A Journey through Acts, daily meditations by noted theologians and faith leaders from around the world. With RenewalWorks, we also present a Good Book Club calendar featuring the inspirational and thought-provoking cartoons of the Rev. Jay Sidebotham. Reading scripture is both deeply personal and an act of community. We invited Episcopal organizations from across the church to partner in the Good Book Club initiative. The response was overwhelming. 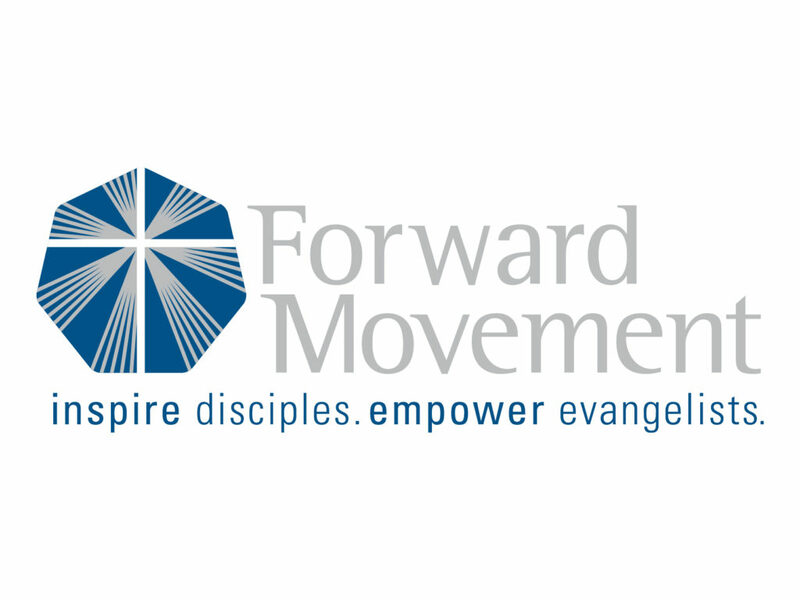 More than twenty-five organizations stepped up to partner with Forward Movement, committing time and talent to develop resources for the wider church. Presiding Bishop Michael Curry issued a video invitation for all Episcopalians to join the Good Book Club. In my twenty years of local, diocesan, and church-wide work, I have never seen so many organizations come together for common cause. God is doing a new thing indeed. Episcopal Migration Ministries will offer a special podcast, featuring voices from across the U.S., the church, and the immigrant and refugee community. A blog will accompany the podcast featuring written reflections, art, photography, music, and videos from podcast guests and others. 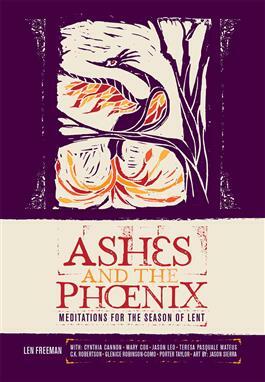 ChurchNext has developed a free, five-course video curriculum for Lent called Luke the Liberator. 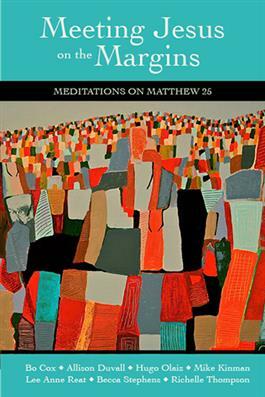 United Thank Offering (UTO) has prepared a downloadable booklet with meditations on the readings, questions for personal reflection or group discussion, space to keep a gratitude journal, and a story of a ministry supported by UTO. 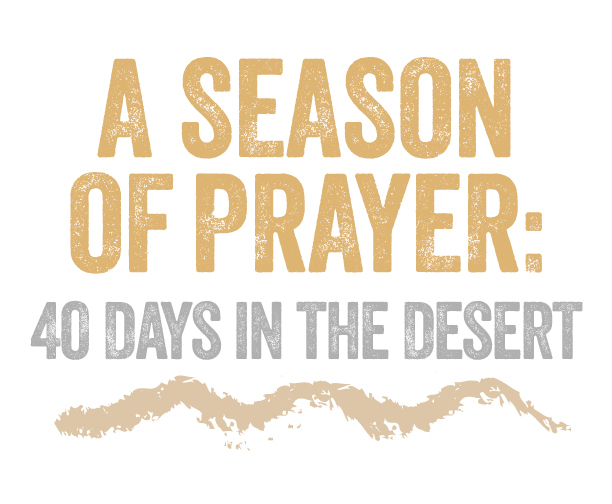 Forma will offer a weekly Faith-at-Home series, featuring reflections and activities for families, and Building Faith will publish a series of articles to help Christian educators and parents read and study Luke and Acts with children and teens. 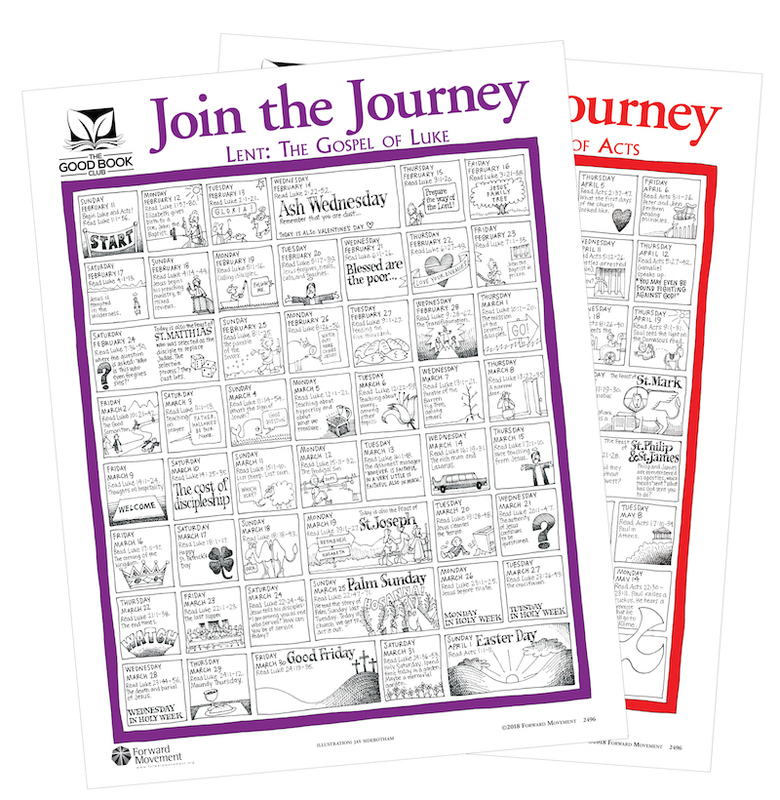 These are just a sampling of the wide variety of resources that offer an opportunity for people to engage wherever they are—geographically, spiritually, emotionally. A full list of the partners is featured below, and links to the resources can be found at www.goodbookclub.org. In addition to organizations, entire dioceses are onboard, making scripture engagement a priority. So too several congregations have committed to reading and exploring Luke and Acts together. If you’d like for your congregation or organization to be included as a partner or want to know more about how to get involved, send me an email at rthompson@forwardmovement.org. As we began making plans for this project, we discussed our goals and what success might look like. We have some quantitative and qualitative measures, but we’re also not willing to limit how God might work in and among us. We can only dream and imagine how the Good Book Club might shape and transform us as individuals and as a church. God already knows. Luke 2:10-11. But the angel said to them, “Do not be afraid; for see—I am bringing you good news of great joy for all the people: to you is born this day in the city of David a Savior, who is the Messiah, the Lord. You have probably heard these words dozens of times. Perhaps you were a shepherd clad in an ill-fitting sheet or a young Mary holding a burlap-wrapped baby doll. Maybe, propped on elbows on the family room floor, you watched an earnest Linus tell Charlie Brown—and us—what Christmas is all about. Maybe wax burned your fingers as you held a candle at midnight mass, listening to these words said by a priest or sung by a choir. Luke’s telling of the birth of Christ is the familiar favorite: The emperor sending out a decree; Joseph and Mary setting out for Bethlehem on a donkey; Jesus sleeping (and crying, I suspect) in a manger. Whether this is your first or fiftieth time hearing this story, may you meet each telling with wonder and awe. The birth of any child is amazing, but the birth of this one is miraculous. Just twenty-one verses change the course of the world. One story in a sea of stories that is the greatest one ever to be told, offering good news of great joy for all people. MOVING FORWARD: Read the lesson out loud today. Savor the memories this story calls up for you. 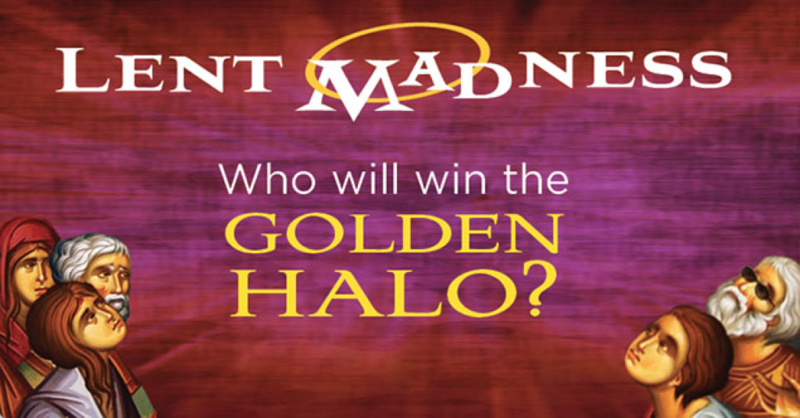 Forward Movement is seeking volunteers to run exhibit tables at diocesan conventions. Our staff travels as much as possible, but can’t reach every convention that we’d like to. We have packages with 6-7 sample books, copies of our catalog, giveaways items, and a table cover ready to go—the only thing missing, is a dedicated volunteer to run the exhibit table. Our staff will handle all the logistics, shipping, and convention red-tape, allowing you to show up the morning(s) of your convention, setup the table, and spend the day answering basic questions about Forward Movement and our resources. We’ll provide a cheat-sheet about everything in the box…so don’t worry about being an expert on everything Forward Movement does. As a thank you, we’re offering a “New Titles Subscription” to volunteers. This subscription means you’ll receive mailings throughout the year with complimentary copies of our latest books, calendars, pamphlets, and booklets. Interested? Please contact us at volunteer@forwardmovement.org to learn more, and see if your diocesan convention is available for this opportunity. 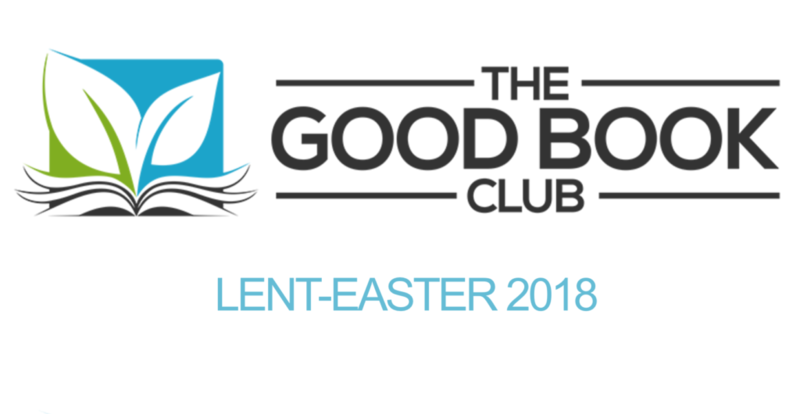 We’re excited to announce the Good Book Club—a church-wide invitation to all Episcopalians to read Luke and Acts during Lent-Easter 2018. Participants in the Good Book Club will begin reading Luke the Sunday before Lent, February 11, 2018, and finish up the Book of Acts on the Day of Pentecost, May 20, 2018. We hope you’ll join us, and the many churches, individuals and organizations who will be a part of this special project. 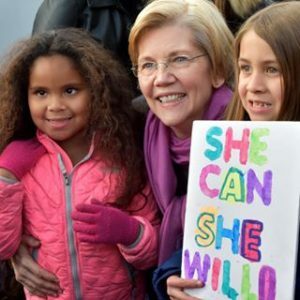 Several organizations have already announced partnerships with Forward Movement on the Good Book Club, including Episcopal Church Foundation, ChurchNext, Episcopal Migration Ministries, and The Episcopal Church and Presiding Bishop Michael B. Curry. Partner organizations are creating resources or encouraging their constituents to take part in the effort. A list of current partners can be found here. The Good Book Club website (goodbookclub.org) lists the daily readings, as well as available resources to support people as they read the scriptures. Resources also will be available in Spanish at clubbiblico.org. And a note to Forward Day by Day readers: Forward Day by Day will use Good Book Club readings during Lent-Easter 2018, instead of the usual daily lectionary. For now, you can sign up for updates or learn more about partnering with us at goodbookclub.org. 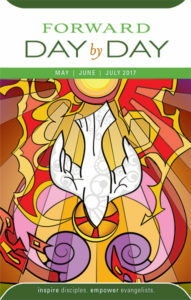 We hope you’ll read along with us, and Episcopalians around the globe! When people ask me how I could leave the land of chips and queso for the land of pretzels and beer cheese, I simply tell them that I was unable to decline being offered my Barbie-Dream-Job, even though it was located in Cincinnati. And while I can still occasionally hear the wailing and gnashing teeth of the five generations of Texans that preceded me, answering Jesus’ call to this place has been one of the deepest joys of my life. 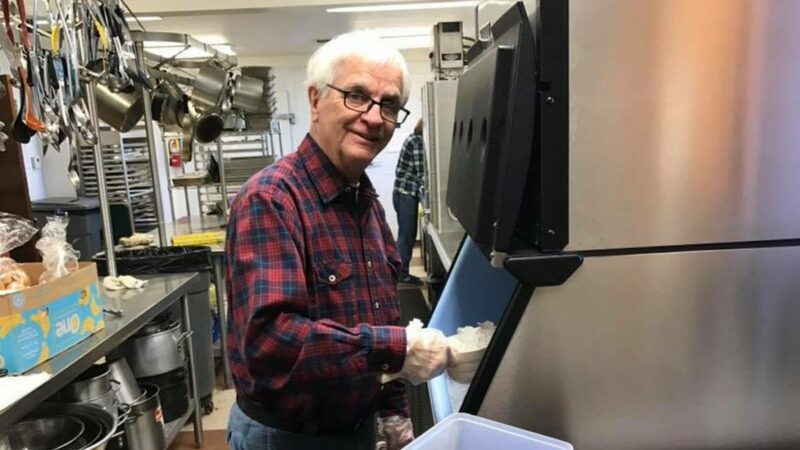 I knew that taking a job outside of parish lay ministry—where I’d spent almost my entire professional life—was going to be an adjustment. There would be a steep learning curve, and I would make some mistakes that everyone would see and notice as mistakes. What I didn’t count on—what surprised and delighted me to my core, what made me know in the deepest part of myself that I had made the right choice—was how much more I fell in love with Jesus while just doing my job. At the heart of the Christian experience is an understanding that making our lives look like Jesus’ life will require some serious individual work and intention. We also know that we are just a part of of Jesus’ body here on earth, and we have to learn how to work well with the other bits and pieces. Making our lives look like Jesus’ life is the hardest, most rewarding, and right thing we can do. Reading the Bible, saying our prayers, praying for and serving others are ways we attempt to do this best, right thing. 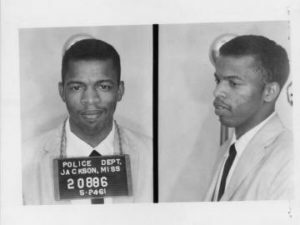 For a long time, I imagined that saying my prayers two or three times a day, reading through one of the Gospels during Lent, mostly paying attention to the lessons on Sundays, taking communion, and not swearing out loud at people who are incapable of driving like evolved human beings was putting me pretty square with the Lord. And then I came to Forward Movement. Mostly, my job focuses on Forward Day by Day—our flagship resource. Consequently, I read almost all of the lessons for each day as I’m doing my editing job. I can’t help an author be clear about a text if I’m not familiar with the context myself, so reading what the Daily Office or the Revised Common Lectionary have to offer is essential. Reading the Bible every day, looking at the ties between the Old and New Testaments, seeing the beauty of the Psalms cycle back and around every month, letting my heart marinate in the sweetness of the Word, allowing myself to ask deep questions and be relentless and fearless in ferreting out the answers (or just making peace with the questions) has radically and irrevocably changed my life. That’s right—the thing everyone has been telling you your whole life about God is true—just read the Bible every day, and amazing things will happen. I was as surprised by that simple and not-new revelation as I was when I found out that lunch meetings were neither glamorous nor productive. Reading the Bible—and taking it seriously—has given me such joy, totally complicated my life, and demanded more of my time and energy than I would have imagined. But I also hunger for that word now. When things go sideways, I do not hesitate look up key words I’m feeling to see where they are repeated by the prophets, in the stories of Jesus, in the Psalms, and God shows me grace, shows me ways see the Kingdom that is already here and still being prepared. Let’s be honest—Jesus will love you just the same as he does right this very minute even if you don’t start reading your Bible every day or develop a daily devotional habit or find ways to augment the habits you may already have. But…and we all love a big but…Can you imagine falling even more in love with Jesus—more in love with your neighbors, more in love with the world God has made and called good, less worried about other people and their weirdnesses, less concerned about what you don’t have and more concerned with how you can share what you do have? Are you willing to take that big risk? If you are, I promise I’ll sit right here with you. I’m taking this risk of spending time with Jesus, of falling in love with his crazy friends, of being convinced that God is making all things new—even me, too. At Forward Movement, this is how we participate in the Jesus Movement—so you’ve got company. Join us, either with friends or on your own, at 10 a.m. each morning to savor a sweet time with the Word and with each other. We’re here to inspire disciples, empower evangelists, and love the world for Jesus’ sake, and we’re glad you’re here with us, too. Rachel Jones is Associate Editor at Forward Movement. You can connect with the Forward Day by Day community on Facebook, Twitter, or our prayer site forum; share your Moving Forward experiences with the hashtag #ForwardDaybyDay; and listen to the Forward Day by Day podcast on the go.